Recent studies suggest that many American’s aren’t getting enough fiber. You know fiber – the “politically correct” folks say it’s “filling” (which it is) but the best thing about fiber is that it keeps you “moving.” (If you know what I mean.) It’s difficult to describe the feeling, but let’s suffice it to say that when you’re lacking in fiber – you know it. Fortunately, the new Kellogg’s FiberPlus product line offers delicious ways to get your daily fiber – in cereal or snack bar form. Kellogg’s FiberPlus products conveniently provide up to 35% of your recommended daily fiber in three tasty ways – a hearty breakfast cereal, toasty waffles, or filling snack bars. The Kellogg’s FiberPlus Bars are available in four flavors – Caramel Coconut Fudge, Chocolate Chip, Dark Chocolate Almond and Chocolatey Peanut Butter. I sampled every single flavor and enjoyed doing so. In addition to 35% of your daily fiber, the bars also have 7 grams of whole grains, and the antioxidants vitamin E and zinc (which is why these are Kellogg’s FiberPlus Antioxidants bars.) I was so impressed with how much flavor the bars had. You can clearly see the oats and the rice puffs, and for the ones with chocolate, they have a delicious cocoa coating on the bottom with a drizzle on top. 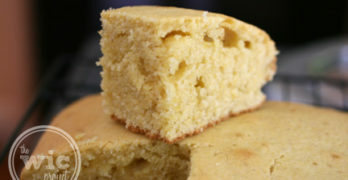 The bars have a great texture – not too tough or too chewey. There are three varieties of cereals in the Kellogg’s FiberPlus product line – Caramel Pecan Crunch, Berry Yogurt Crunch, and Cinnamon Oat Crunch. Each of these cereals also provide 35% (or more) of our daily recommended fiber, along with 24+ grams of whole grain and antioxidants Vitamin C and E. The Berry Yogurt Crunch has these great yogurt-flavored clusters and a nice berry-sweetness that makes it a tasty option for breakfast for both kids and adults. I love that with FiberPlus, I can be confident that I’m getting the fiber my body needs to stay healthy. Both the bars and the cereals fill you up without filling heavy, making them a great way to start the day or for a little afternoon (or evening) snack. Five (5) winners will each receive five (5) coupons for free Kellogg’s FiberPlus products! I would like to try the Chocolate Chip Bars. The Caramel Pecan Crunch cereal sounds good. I would love to try the Cinnamon Oat Crunch cereal. It would be great with milk or we have it sprinkled over yogurt or frozen yogurt. 🙂 Thanks for the chance! I would like to try the Caramel Pecan Crunch cereal first. Can’t wait to try the caramel pecan crunch cereal! please delete my entry for follow of blogfrog. I want to try the Caramel Coconut Fudge Bars. Oooo the Carmel Coconut Crunch bars sound delicious! I like the Chocolatey Peanut Butter Snack Bars. carmel pecan crunch sounds good! I love their Caramel Coconut Fudge Bars. I have them for breakfast when I’m on the run. 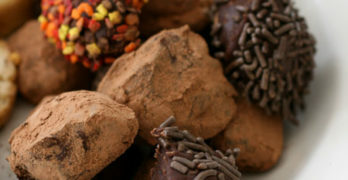 OOOOhhhhh, I like the Dark choclate almond,yummu! I would love to try the Coconut Fudge FiberPlus Bars. I would like to try the Caramel Coconut Fudge Fiber Plus Bars. Love the dark chocolate bars! Caramel Pecan Crunch sounds yummy! Caramel Pecan sounds delicious! I’d love to try that. the bars in caramel coconut fudge. Would love to try the Caramel Crunch Pecan cereal! I’d love to try the Berry Yogurt Crunch cereal! I would like to try Kellogg’s FiberPlus Dark Chocolate Almond bars. The dark chocolate almond bars. I’ve already tried the dark chocolate almond bars and I’d get then again. Great product! The Cinnamon Oat Crunch cereal sounds good! The Berry Yogurt Crunch cereal. I like Cinnamon Oat Crunch. I would love to try the Caramel Pecan Crunch cereal. I want Cinnamon Oat Crunch. I like the brownie bar. 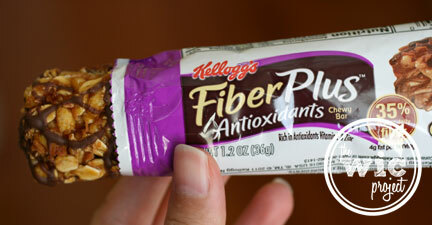 I’m most excited to try Kellogg’s FiberPlus Caramel Coconut Fudge bars ヅ *Thanks* for the giveaway! I would love to try the coconut carmel crunch. I would love to try the Coconut Caramel Fudge bars. I’d love to try the caramel coconut bar. The Coconut Caramel Fudge bars sound delicious, and they have 9 grams of dietary fiber! I’d love to try the Dark Chocolate Almond FiberPlus Bars. cinnamon oat crunch sounds to die for! I’d like to try the Berry Yogurt Crunch Cereral. I want to try the Chocolatey Peanut Butter. I love peanut butter so I am going to say the Chocolatey Peanut Butter Fiber Plus bar. I want to try the Cinnamon Oat Crunch cereal. I would like to try the Dark Chocolate Almond bars. Thanks! I’d like to try the Kellogg’s FiberPlus Bars in the Caramel Coconut Fudge…I luv coconut anything, thanks! I want to try the Caramel Pecan Crunch! The berry yogurt crunch cereal sounds great! I would like the chocolate peanut butter. the chocolately peanut butter bar! Yum, I LOVE the berry yogurt cereal! I’d love to try the waffles! I really want to try the Berry Yogurt Crunch cereal. I would like to try the chocolate chip Fiber Plus bar! I’ve tried the Chocolate Chip bars and they were pretty good. Even my 2 little girls liked them. I would like to try their Cinnamon Oat Crunch cereal too! I love coconut and would love to try the coconut caramel fudge! The Berry Yogurt Crunch, yumz! Thanks so much! Congratulations to the others!